Vice President M Venkaiah Naidu on Wednesday termed agriculture as the backbone of India, and said that development of the sector should not be let down while focussing on other sectors. VISAKHAPATNAM: Vice President M Venkaiah Naidu on Wednesday termed agriculture as the backbone of India, and said that development of the sector should not be let down while focussing on other sectors. 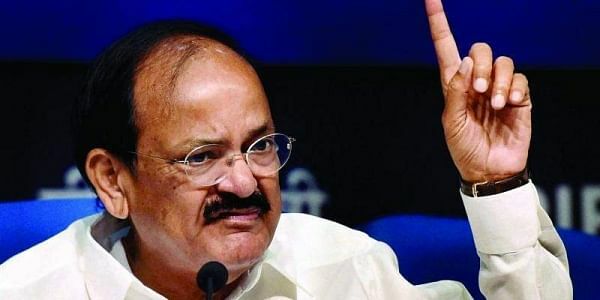 “The development of other sectors is good, but the agricultural sector is the backbone; it should not be let down,” Naidu said, backing it by stating that 62 per cent of population is still employed in agriculture and allied areas, and that it was a risky job with many obstacles. The vice-president was speaking at the inauguration of the three-day AP AgTech Summit-2017, organised by the Andhra Pradesh Government in Visakhapatnam. Conveying suggestions for agricultural growth, the vice-president said that food processing and marketing were as important as yielding from crops, and a concrete solution should be aimed at. “Sops to people are temporary solutions. Free current is not a solution, but continuous current is the solution. Prime Minister Narendra Modi’s e-NAM is a very beneficial initiative for,” Naidu added. Batting for the farmers, he said that they need loans on time, quality power, sufficient water supply, and protection from exploitation by middle men. He also praised the summit as being a good opportunity for overcoming many challenges that farmers face, and added that technological support to agriculture could improve the lives of farmer. The three-day summit will discuss on innovative ideas, technologies and global best practices to push agricultural transformation in the state. Andhra Pradesh Chief Minister N. Chandrababu Naidu also participated in the inaugural session.